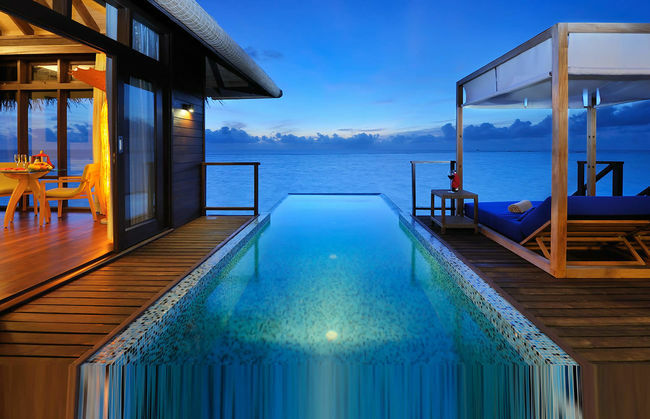 Sometimes its good to indulge just a little on a one off vacation where you treat yourself to a luxurious stay and enjoy the high life, and honestly what defines the high life better than a beautiful island resort getaway! Here are just a few options to help you get started. Maldives is a hotspot for honeymooners and for couples who want to spend some quality time with each other, and what better way to enjoy your time together than to watch a movie on the big screen under the stars and on a beach! Guests of Coco Palm Bodhu Hithi can enjoy this surreal experience during their stay here. 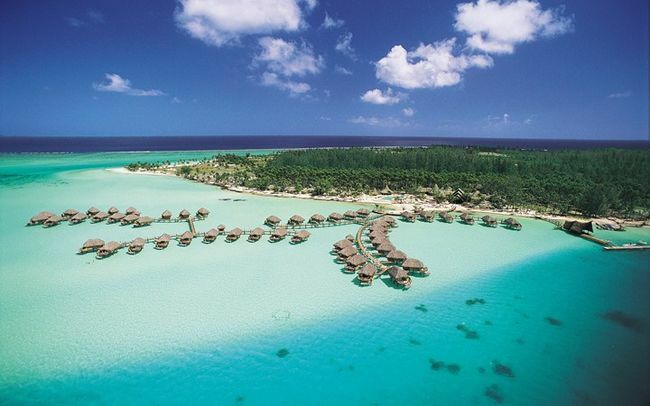 Their extravagant waterfront residences are what vacation should be made up of. A private pool, access to snorkeling directly from your room and the Indian Ocean for your viewing pleasure; I don’t think it can get better than this! 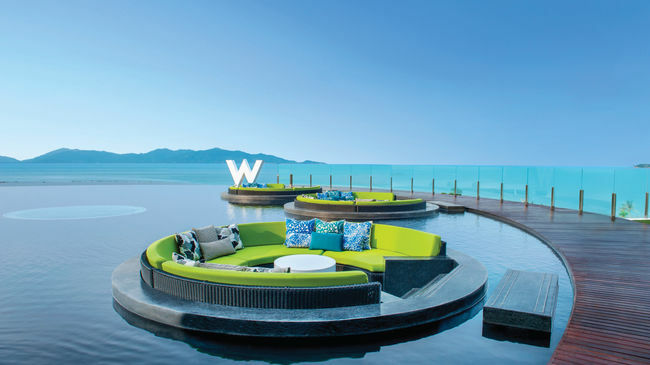 Thailand happens to be a very popular destination for all holiday goers thanks to how affordable it is, but the next time you are visiting the pristine Koh Samui, make sure to check into the W Retreat because if that is what their lounge looks like (picture above), then I cant imagine how beautiful the rest of the property would be! If a private beach, water lounge, ridiculously extravagant rooms aren’t luxurious enough, then how about a private romantic dinner for two under the stars where you can enjoy a 6 course Japanese meal with wine and sake! 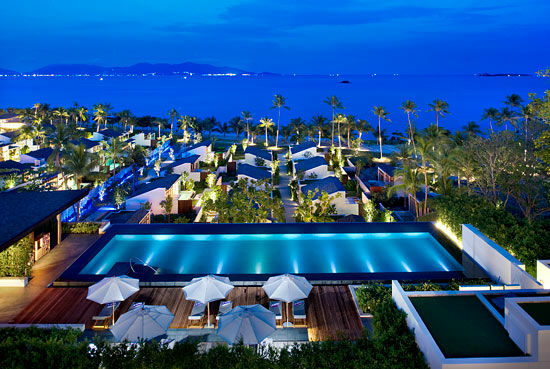 Yes the hotel will very well arrange for that for an amount of 15000 Thai Baht (Rs. 27000 approx). 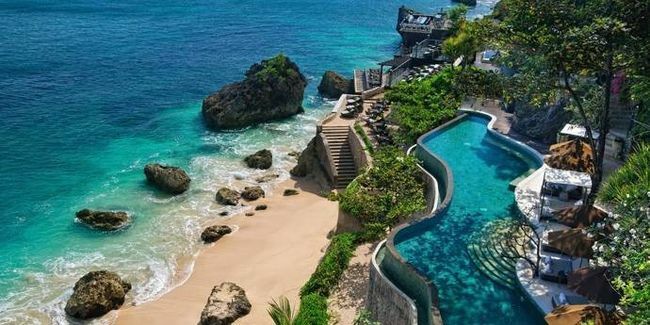 If there was one thing that I may regret about my visit to Bali, then it has got to be the fact that I missed out on staying at this magnificent resort. 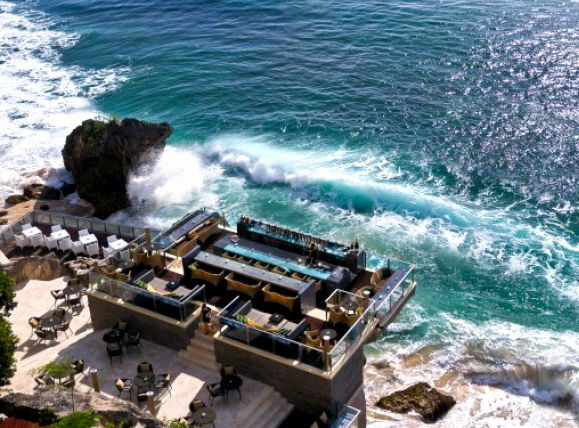 Not only does it have the most terrific views from all aorund the property, but it also houses The Rock Bar, one of Bali’s most popular bars significantly due to the location. Luckily I did manage to visit for a sun downer and I have to admit that this place is one of the prettiest bars I have ever been to, a must visit during sunset hours. In addition to this gem, the property itself is enchanting, with meandering pools facing the rocky beach and indulgent rooms with private pools. 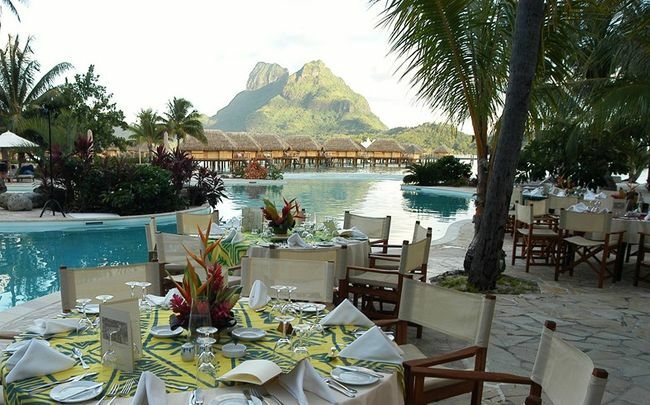 Having experienced the hospitality of Le Meridien Ile Maurice personally, I can safely say that this is one of the finest resort that i have stayed at and it most certainly puts the comforts of its guests above everything else. Much like all other Island resorts, Le Meridien has its own stretch of pristine white sand beach and glorious views from the rooms. What I personally loved about the resort was that it had a separate wing which was kids free! I love the idea of spending a vacation without having to hear constant chatter and noise. 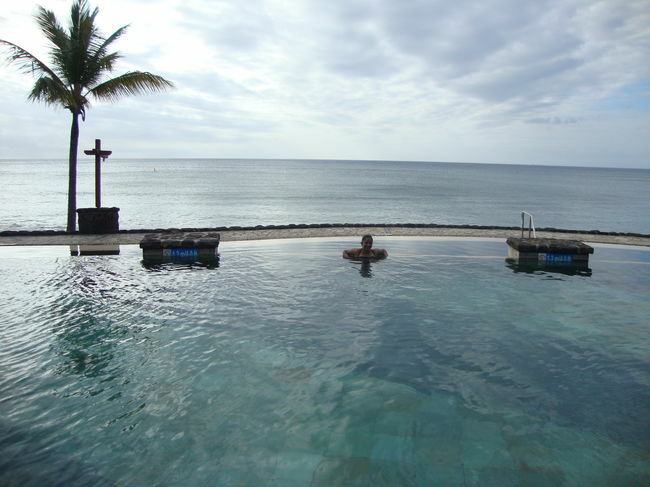 This wing had its own Nirvana pool (infinity pool), an Italian restaurant and complimentary drinks were served every evening during sunset! The hotel also has lots of activities on offer which are completely free of cost if you are a guest here; these include snorkeling, water skiing lessons, wind sailing lessons, kayaking, glass bottom boat tours amongst others. Fishing trips can also be organised at an additional cost and if you do manage to catch anything, the chef will be more than happy to whip up a special dish for you using your catch! 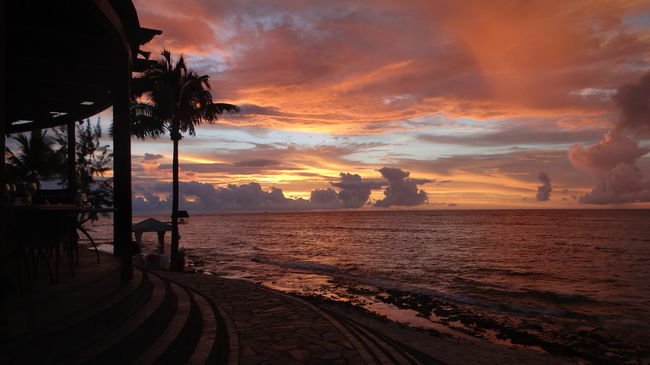 A resort that is housed on a 17 acre water front property that is rich in marine life and unspoiled coral reefs pretty much has luxury written all over it. Check into one of the Polynesian styled over water villas that include part glass bottoms in the room so that you can actually admire and gaze at the underwater marine life right from your room itself! 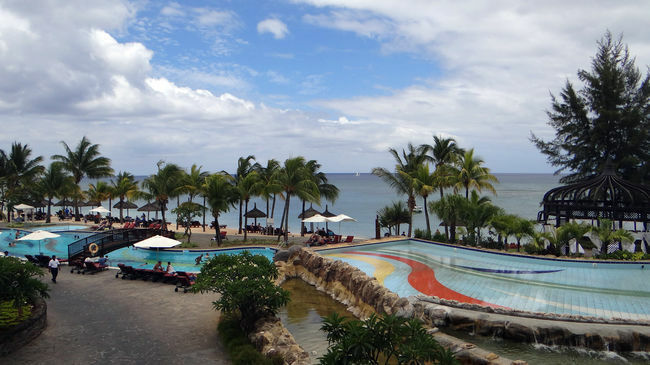 Other things that you can indulge in while at your stay here include a state of the art spa, mini golf, snorkeling, catamaran cruise and luxurious dips in any of the swimming pools. Ten Beautiful Destinations Where Indians Can Get A Visa On Arrival!